HOME » NEWS » ARTICLES » Have You Checked Your Site for Online Optimization Factors? 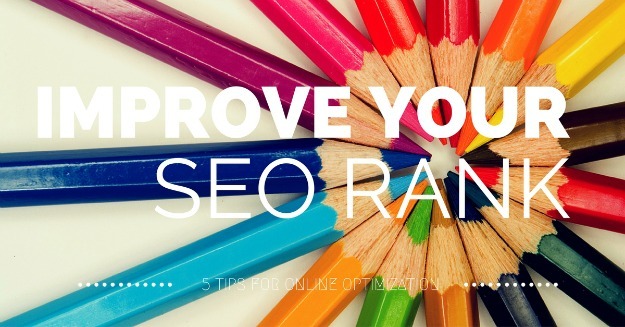 Businesses are forever trying to improve their SEO ranking. In order to ensure that you continually appear on the first page of Google, Bing and Yahoo, there are honest and upfront practices you can use in order to ensure that your website ranks high on search engines and to avoid being penalized for underhanded optimization practices. Search engines reward you for providing relevant and original content. If your site sells women's blouses, the site should provide information on purchasing women's blouses. That sounds simple, but many sites will fall into the trap of running out of relevant things to say and either stop updating their content or uploading unrelated content. The more that your website conforms with the topic that a customer is looking for, the higher the SEO ranking, and the more likely that the customer will come back to your site again and again. So how do you make sure that you have what the searcher is looking for on your site? For the women's blouses site, "women's blouses" would work as a key word, but in order to target as many possible ways that people search for the product, it's wise to come up with variants of your key word. "Women's tops," "women's shirts," "women's Clothing" are good alternatives to incorporate into your site. Customers are more likely to type in "Size six petite women's peasant blouse" and expect that the results will provide exactly what they are looking for. These "long tail search" key phrases will target a customer who knows exactly what she is looking for. Write copy for human eyes, not search bots. You can be judicious about where you put your keywords- some experts suggest that you put the keywords at the beginning and end of your text, try to place them in places where they would naturally occur in human speech. If you can't logically put the words into a sentence, leave them out. When determining the authority of a site, search engines look at "aged" sites that have been around the longest. One way to improve your authority is to add dates to your material. Blog posts are perfect for this, and a post that contains the same information as another site but is dated a year older will rank higher in SEO results. Another way to improve SEO is the link out to other sites. The key is to ensure that the sites you link out to are authoritative sites that enjoy high search engine rankings themselves. Make sure that your anchor links (which should be your chosen keywords and key phrases) relate directly to the site or the individual page that you are linking out to. If you fail to make the link out relevant, you turn off your human visitors and it will cause your SEO rankings to sink.